LET RESEARCH BE A WALK IN THE PARK! Temperatures in our area in central North Carolina have hovered around 100 degrees for more than a week. Makes writing inside in air conditioned comfort the thing to do, but when the cool breezes returns, I’ll be talking a walk. I think when I walk. I think when I dream. I think when I am sitting in the doctor’s office. Sometimes, though, I need help. Where does a writer come up with their story? Some claim images appear in their heads or they find an interesting subject, one they want to share with the world. A plot concept needs to fill enough pages to have a sellable piece of work. This is where research comes in. Dreadful as that sounds, you can turn it around by listening to your characters. Say, what? Just listen! Your characters can help. What is their background? Their values? Their imperfections? How can you layer a story with emotion, action, conflict and more if you haven’t answered these questions? For instance: in my contemporary romance, SECRET LOVE MATCH, I wanted my heroine to be good at something. Tennis came to mind. Why tennis? I remembered the tennis lessons my parents provided in my youth. I swung a tennis racket in high school and college, too. It was the simple fact that I liked tennis that led me to research the rules of the game and the summer Olympics. How did my heroine feel when she raised her racket to play against the handsome hero who just introduced himself and asked her to play? I could relate. My hero takes her to a museum on their ‘first date’. He remembered when he was younger he visited the Hayden Planetarium, part of the American Museum of Natural History in New York City. I remember frequent class trips to various New York museums and the Hayden Planetarium was a favorite. Research on the internet let me find photos, descriptions, history, and even its street location so I could knowledgably pepper my story with fact. A walk in the park? Not always. In my latest romantic suspense novels, DESTINY’S MOUNTAIN and LOVE TO THE RESCUE, my heroes and heroines either meet on a mountain trail or in a fire department in the middle of rural New Hampshire. I was born and raised in New York, but graduated from a New Hampshire college in a little town nestled between a beautiful river and glorious mountains. I married and raised a family. I’ve hiked those mountains, swam in the rivers, and fished. I used these memories to give my books desirable backgrounds for my characters. I also used my knowledge as a former EMT and firefighter to make the rescue scenes realistic. If I didn’t have first-hand knowledge of small town emergency departments and ambulance capabilities, I would have researched these via the internet, my local library, or by brainstorming with friends still living in the area. Still think writing a story about what is in your heart is tough? Of course it is, but not impossible. 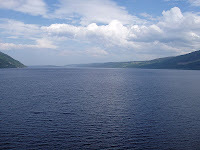 I’ve wanted to visit Scotland ever since meeting the man I eventually married. We now volunteer at a large annual Scottish Highland Games held in New England and have used my experience to plot a time travel story set partly at the games. Someday, we will head over to Scotland. I learned gathering research can be a long, yet enjoyable process. I had no idea I’d be an author one day. Luckily, my brain filed away the beauty of the mountains, the quaint historic village at the games, the sound of bagpipes, and the smell of haggis and shortbread. I used these memories to enhance my story. When my Scottish paranormal was released, I had set DRAGON’S CURSE on an island I discovered while doing research. I’d love to visit an island like Staffa or Skye. Then I’ll absorb enough atmosphere to create dozens of other stories. What I am trying to say is that research can be fun. Take a walk. Visit a museum. Remember a moment in your life where you experienced something new, wonderful, sad, or life changing. The best stories start in your heart, not in your head. Be it your heart, your mind, or the park…take a walk! Portions of this article by me were posted Sept. 8, 2010 on the Savvy Authors Blog. Last Friday, my sister and I traveled a little south of downtown Raleigh, North Carolina to the Farmer's Market. The sun was high, and the stalls were full of vegetables, fruit, plants, and baked goods. I swiftly bypassed the German bakery goods (with reluctance) and finally choose corn, peaches, squash, onions, and a sweet potatoes. I had promised myself (and my doctor) to eat healthy. 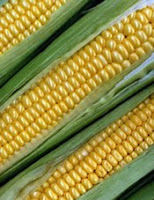 With all the bounty available, there is NO EXCUSE not to eat right. When we left, I asked my sister to stop so I could take a photo of a building barely across the field and street from the Farmer's Market. Less than 1/4 mile away, the building was shuttered. It took me a second to realize this was one of the victims of the recent April tornadoes. 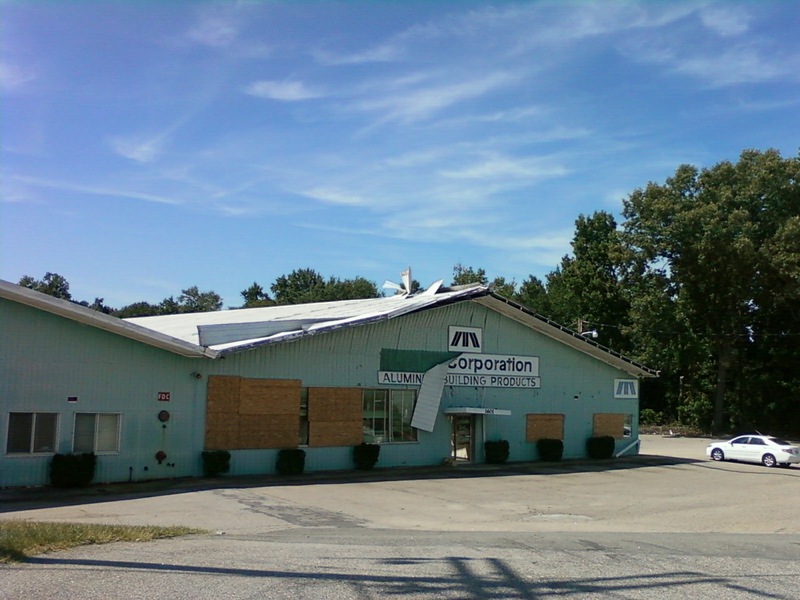 The irony of this aluminum company peeled open like a sardine can faded when I realized this property had been a thriving business; owned by someone, an employer of many, many people. My sister and I talked about how lucky we were not to have such damage to our homes and places of employment. 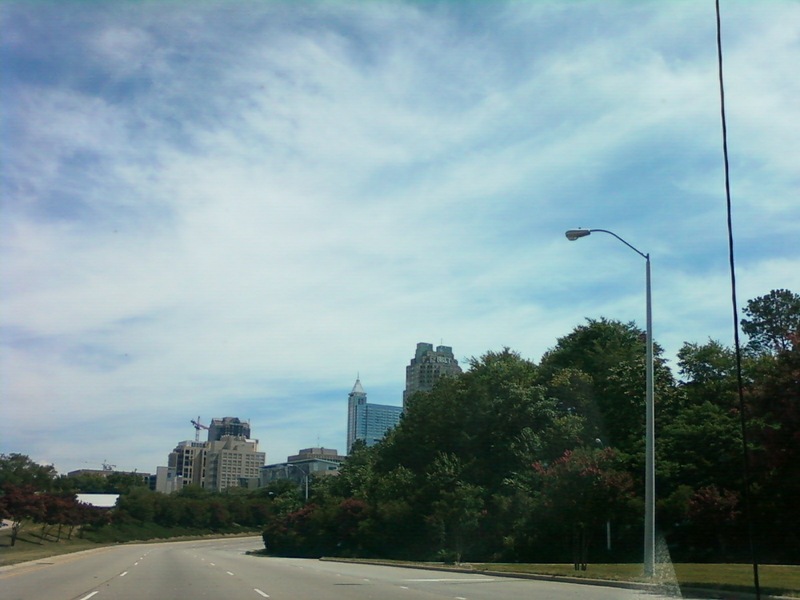 On the way home I took a photo of the Raleigh skyline. Things go on. We have entered hurricane season so we will check our supply of flashlights, batteries, bottled water and get ready. Raleigh is far inland but can feel the effects. Always be prepared. Here's a link to a list of items you should keep on hand in an emergency, curtesy of the American Red Cross. Congratulations to a lovely, talented woman who is a long-time member of Romance Writers of America and the local chapter, Heart of Carolina Romance writers. I met her at my first meeting when I moved to the south from New Hampshire. The meeting was in December, so it was a party atmosphere held at the home of another member, NY Times Best Selling Author, Liz Carlyle. To say I had stars in my eyes is an understatement! I was a new, unpublished writer who knew NO ONE. Who sat down beside me on the over-sized ottoman? Virginia! I listened as she gushed over her new Children of the Sea series. When I heard the books were set in Maine, I perked up. Been there! 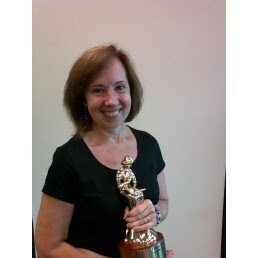 Last Saturday, Virginia returned from NYC, and the annual RWA conference, with a new friend in tow...her RITA award! Virginia has been nominated a fantastic NINE times. We are so very proud of her for earning one of the highest awards given to a published member of Romance Writers of America. Congratulations! USA Today bestselling author Virginia Kantra credits her love for strong heroes and courageous heroines to a childhood spent devouring fairy tales. The author of more than twenty books, Virginia is an eight-time finalist in Romance Writers of America's RITA awards and the winner of numerous industry honors, including two National Readers' Choice Awards. After writing her popular "MacNeill Brothers" and "Trouble in Eden" category series, Virginia turned her hand to single title romance. Her new series, Children of the Sea, continues with Immortal Sea in bookstores now! Married to her college sweetheart and the mother of three kids, Virginia is a firm believer in the strength of family, the importance of storytelling, and the power of love. Her favorite thing to make for dinner? Reservations! Again, congratulations to Virginia and to our other Golden Heart award nominees. Heart of Carolina Romance Writers is one talented pool of men and women who meet monthly in Raleigh, North Carolina. Destiny Blake was enjoying the pleasant atmosphere that the mountain had to offer, not to mention some relaxing time in the splendid water. She never imagined someone would appear, on the mountain, but once she makes direct eye contact with Jacob Oliver, her heart instantly melts. Jacob has his own problems, he wishes to escape. With thoughts of an ex-wife, and no longer with the Boston Police, his life hadn't been too much to really wake up to everyday. 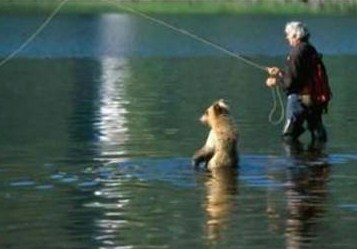 After spotting the beautiful Destiny, in the water, he accidentally falls and injures himself. It was almost like kismet bringing them together. Just when it seems that Jacob has discovered the one woman to repair his broken life, Destiny finds herself in danger. Will Jacob be able to rescue her so they can have the life that fate meant them to have, or is happiness no longer in his path? I absolutely love how two people have that certain gaze when their eyes contact each other, and know they are the one they want. Destiny's Mountain demonstrates that kind of story with two believable and refreshing characters. They touch upon the reader's heart and make them want to root for them, from the first page to the last. This sensational read allows the wide range of emotions, and expressions, to be displayed in every encounter permitting Destiny and Jacob to leap out, not only engaging the reader, but pulling them into the wonderful adventures that lie ahead. Nancy Lennea skillfully paints a portrait where the reader can envisage the beautiful scenery while sharing in the sights, sounds, and even feel the cold, not only in the air, but between the players and their exciting encounters. With a great display of action, romance, suspense and wonderful chemistry, this story is indeed awesome. Me visiting my folks' home in Port Orange, Florida. Back to writing! 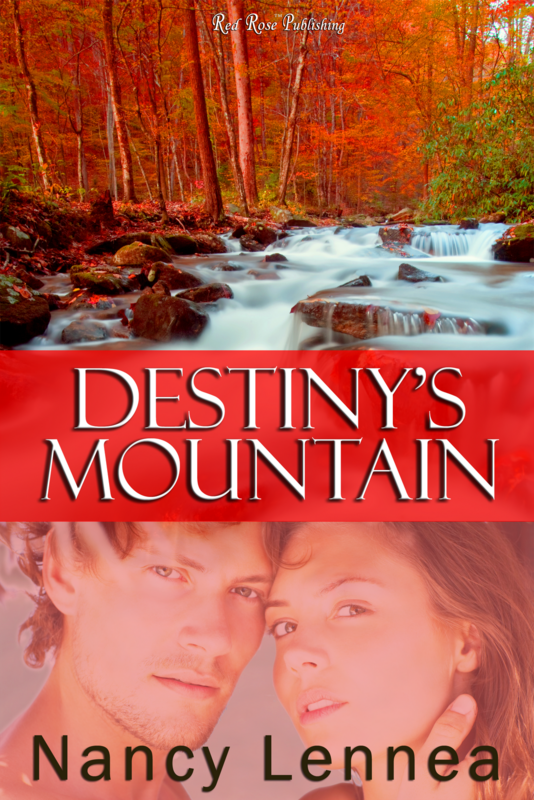 DESTINY'S MOUNTAIN is available for download from Red Rose Publishing, Amazon, AllRomanceEBooks, and others. Yes, I must get back in the groove and get to Writing!